Would you love a recorded Tarot Reading on an issue or challenge your currently faced with? A potent insight, way through or enlightened practice to clear the path forward? 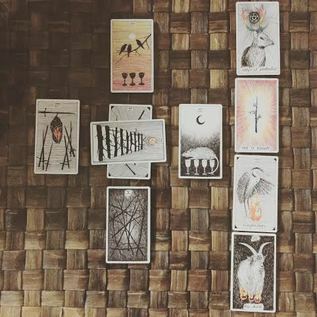 I'd love to offer you guidance and freedom in one of those areas you've been stuck with, unsure about or confused about in 45 minute recorded Tarot reading. All you need is to email me your question, give me any background details you'd like to share (to help get the most our of your reading) and have a FREE Dropbox account so I can share the recorded reading with you. ﻿﻿how long is a session? It will be a recorded file that will be shared with you via Dropbox so you can listen to it anytime you like, and revisit any time you like. ﻿and if you have any other questions whatsoever, please don't hesitate to contact me by emailing mish@meditationwithmish.com.